I went to Abruzzo this past weekend, where my body was brutally beat by a mountain and some gravel trails. The leisurely hike that I thought I signed up for turned out to be three days of sweaty outdoor movement. Thankfully I only fell once. 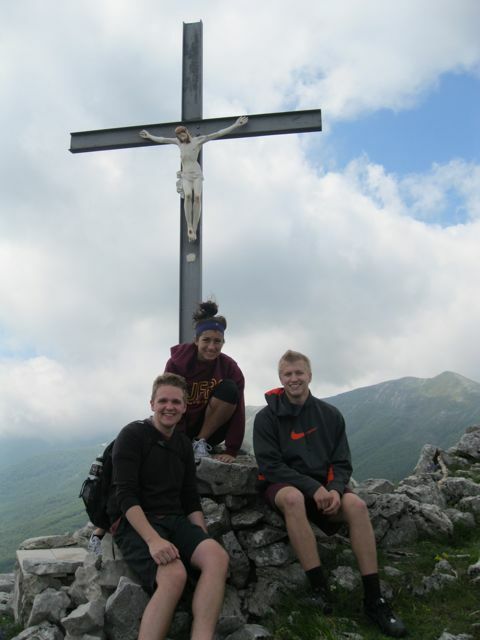 25 students and 2 Student Life Assistants left early Friday morning and traveled East to the region of Abruzzo, a small area in the mountains where many Romans go to in summer months to escape the hotbox of a city they call Rome. We supposedly made good time and got to the hotel well before noon in time for our first death march, I mean hike. Once we got settled into our rooms and then we met outside and grabbed our sack lunches from a restaurant where we would eat all of our meals over the weekend. 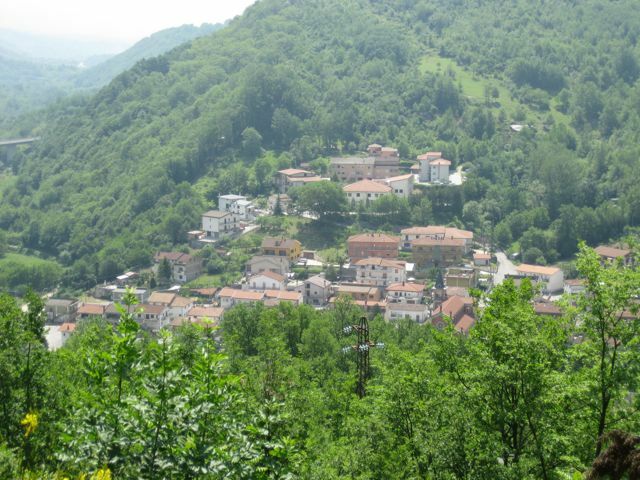 We walked a few kilometers up a mountain that over looked the town which was pretty pretty, if you’re into breathtaking views of the rolling green Italian landscape. On our way down, we stopped at a cemetery to eat our lunch. If our lunch locale was any indication of what the rest of the weekend would be like, it wasn’t great. After our lunch break with the deceased, we walked back through town and on to the next hill we could find. Just kidding, we knew where we were going. We walked up another hill to a waterfall that very pretty, and very chilly. It was fantastic after walking in the mid-day sun. After the first round of hiking we went back to hotel to rest for two hours, and in those two hours we were treated to our first musical treat of the night; our hotel was hosting a children’s choir competition. After hearing a plethora of Disney songs from across the building, we had a night of swanky activities. The first event was held at a restaurant in Civita d’Antino, it was a wine and cheese tasting. I didn’t like either, naturally. 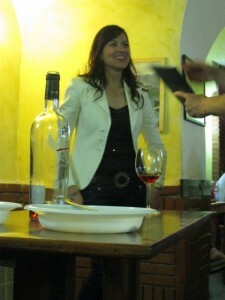 However, while the group chowed down on some cheese, the mayor of the town stopped by to welcome us. Then after hob-knobing with politicians we walked across the very small town, which incidentally looked a lot like an Olive Garden, to the town’s museum which overlooked Valle Roveto. The museum had an exhibit of prints by the Scandinavian artist, Zarhrtman. 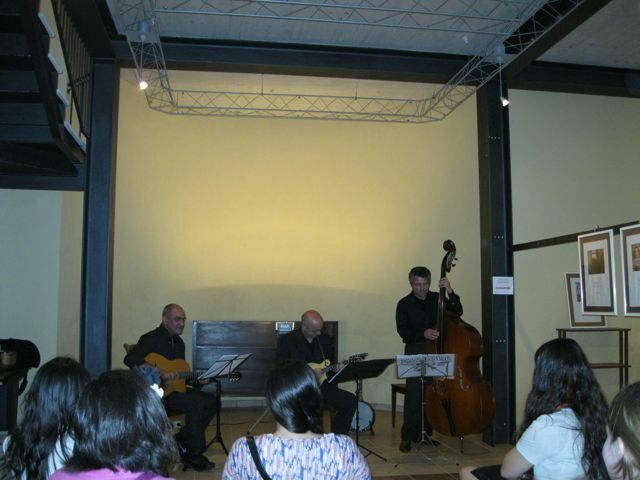 And at the same museum, we were treated to a small musical performance by a trio of men from the town. They played Italian swing music, which was very neat. After the art and music, we all went back to restaurant and had dinner. We ate locally raised baby lamb and a noodle-and-bean soup, which was delicious. The next morning we woke up early for the second of three hikes of the weekend. The hotel had a very nice breakfast, which we got to enjoy with all of Italy’s children choirs. This day’s hike was a bit more challenging to say the least. It lasted about 7 hours, and consisted of climbing a mountain in Valle Roveto. It was definitely no walk in the park, considering I spent half of the time strataling the mountain face. The group split up, and some taking the short cut, while others took the road that zig-zagged up the mountain. I chose the short cuts, because I liked the name, obviously my judgement was off. At some points, we were actually climbing with our hands. We were supposed to go to the peak, but the weather didn’t cooperate (thankfully) and we called it a day after reaching a plateau with a cross in the ground, next to a little Jesus figurine… which are also very common on Italy. So after we retreated from the mountain top, we got a few hours of rest and then we went back to the restaurant where the owner demonstrated how to make gnocchi and marinate the chicken we were being served that night. It was nice to be at the restaurant and in the town, because it was totally not a tourist town. The next and final day was supposed to be a short hike up on another mountain in the morning. The hike was really tiring, considering the day’s previous jaunt. We went to a sanctuary that overlooked the entire valley. The sanctuary was actually a building built into the side of the mountain around 1300 years ago. The town’s people still go up there once a year on a certain day and hold a celebration on the lawn and a mass in the building. After we hiked down from the sanctuary, we went back to the Osteria where we were prepared a lunch of spaghetti and pork roast. The food is especially good in the town because they only use ingredients found in the town, usually the day of. As much as my body hated the trip, it was nice to leave Rome to see the actually countryside. And as much as I would suggest people to visit the town, there is not really a tourism industry there… better for a day trip due to the lack of hotels. I have midterms the next two days. And then on Wednesday, class is cancelled because we are going to the Papal Audience that morning to see the Pope speak, or do something… I’m foggy on the details. Anyways, my plans for next weekend are up in the air so I don’t really know what I’ll be doing.